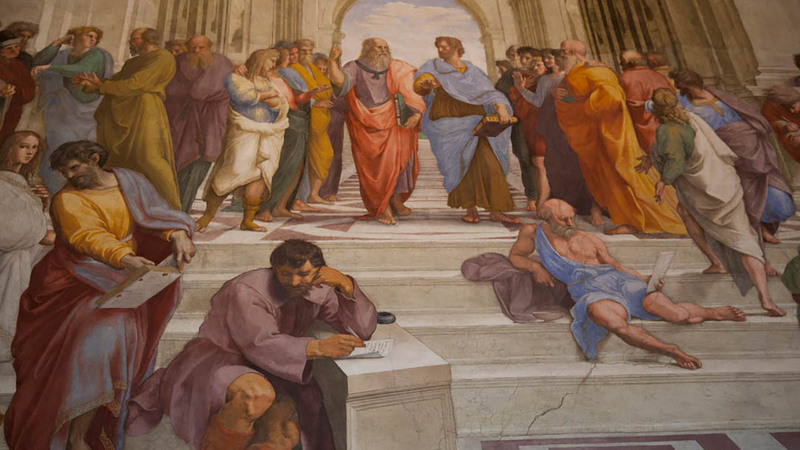 Our shortest Vatican Museums Tour is still comprehensive; covering all the major highlights of the museums and leaving you inside St. Peter’s Basilica to explore on your own. With a carefully-timed visit after most guests have left, you'll avoid a lot of the huge crowds at the Vatican - particularly important in summer. With Skip the Line Access, you’ll avoid the Vatican’s notorious lines (both at the Museums & St. Peter’s Basilica) while small groups of max 20 keep it intimate and expert Walks of Italy guides engage. Give the Papal Palaces the attention they deserve on our Highlights of the Vatican Museums Tour. 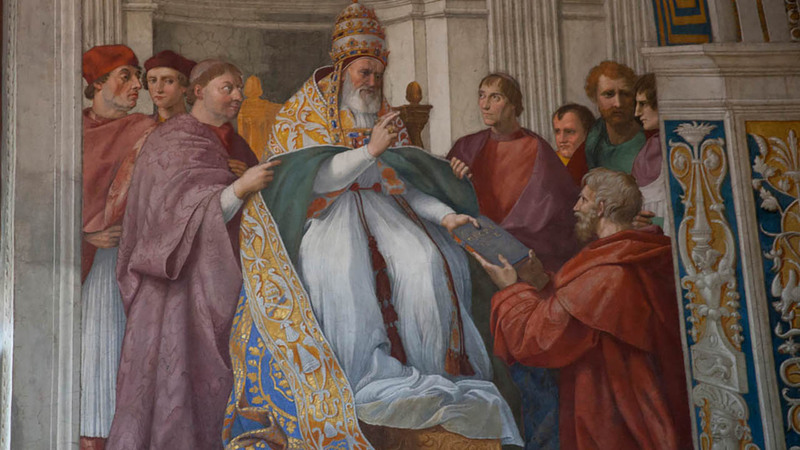 This is the shortest of all of our Vatican tours, focusing less on the details and more on the bigger picture: art, power and politics in the Vatican City. 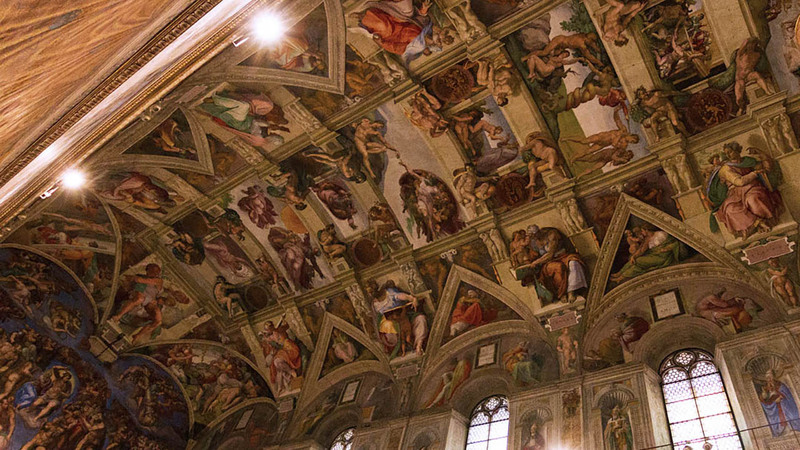 Our expert guides will bring the Vatican’s dramatic past to life. From the Raphael Rooms, to the statue galleries and the unmissable Sistine Chapel, you'll see the best the Museums have to offer while also getting the stories and context behind the art. And although we can't avoid the crowds, we have timed our Vatican Museums tour to visit at one of the latest entry times so you’ll avoid the worst of the crowds. This is particularly helpful during the summer months, when tens of thousands of travelers visit every day. 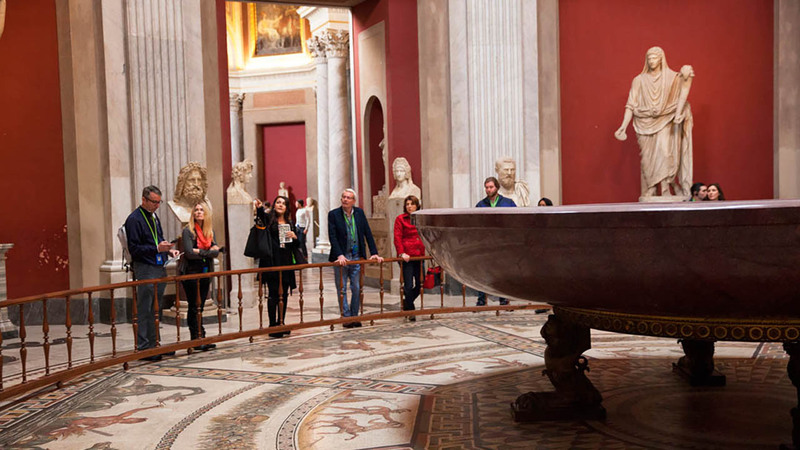 In order to make the most of every moment we give you privileged entrance at the Vatican Museums. This allows you to skip the notoriously long general access line, which, during high season, often stretches for hours. We’ve also carefully chosen the finishing point of the tour so you can either spend more time inside the Sistine Chapel or follow your guide through the no-line passageway and directly into to St. Peter's Basilica. This shortcut saves you not just a 20-minute walk out of the Museums to the Basilica; but potentially hours of waiting in line. After a short introduction from our guide, you can visit the Basilica on your own, to explore Michelangelo's 'Pietà' among other stunning works of art and architecture. This tour will never have more than 20 people on it, making it smaller and more intimate than many other tours on the market, giving you fantastic access to your expert guide. All our guides are art historians, architecture buffs and passionate storytellers who are specially trained to give you a real sense of the drama and power that has played out in these very halls. 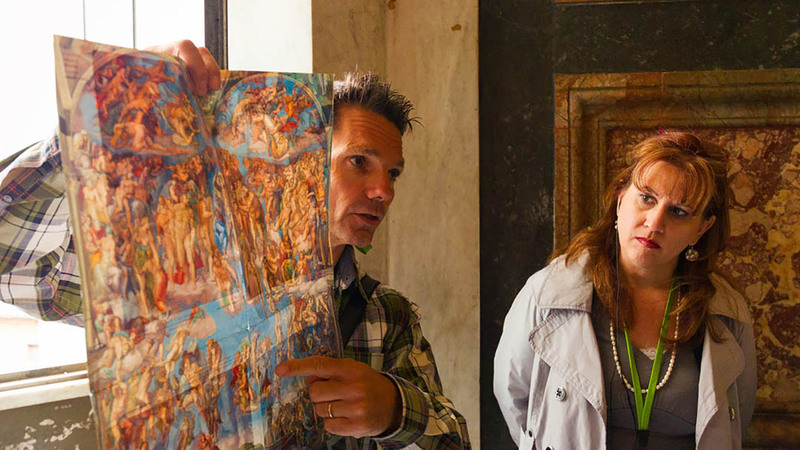 Our small group Vatican Museum tours ensure that you get the best from your Vatican visit, seeing beyond world-famous masterpieces to appreciate the bigger picture. Our guide, Mario, kept us interested in the facts. He had a great sense of humor and our whole family really enjoyed the tour. Tour guide was friendly and knowledgeable and kept the tour interesting and at a good pace that all of us enjoyed the Vatican tour including my younger kids who had no interest in visiting any museums. The tour and all of our communication with your company were excellent. Our guide, Gastone, was one of the most knowledgeable and engaging hosts I have ever encountered. He instantly made the group feel welcome and had us laughing within minutes of beginning the tour. Simply excellent! Our guide was incredibly knowledgeable, charming, and had an excellent sense of humour! He effortlessly guided us through highlights in the vast amounts of Vatican Museum territory.